As the first and only comprehensive guide for engineers on downhole drilling tools, this is a must-have for the drilling community. Downhole Drilling Tools describes all the critical tools for the engineer and covers the practical aspects of downhole equipment. Going beyond the basic bottomhole assembly, this guide includes detailed mechanics and theory on tubulars, fishing, cementing, coiled tubing and various other downhole tools. A must have for both the engineering professional and student alike, this textbook includes worked examples and additional references at the end of each chapter. 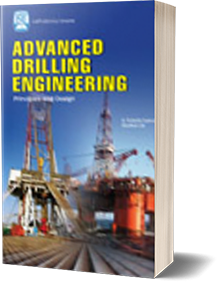 In its entirety, this book enables the reader to recognize drilling benefits and limitations associated with each tool, find solutions to common drilling problems while reducing costs and perform successful well completions.